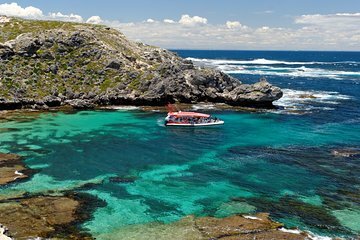 See Rottnest Island from the water on this day trip that includes a high-speed adventure wildlife boat ride. Travel to the island, a favorite local getaway due to its secluded beaches and relaxing environment, by high-speed ferry from Perth or Fremantle. Then embark on a adventure thrill ride to look for seals, dolphins, sea birds and other marine life. Afterward, you have free time on the island to explore independently; perhaps rent a bike or go swimming off one of the white-sand beaches. When booking, you may upgrade to include lunch, if you wish. 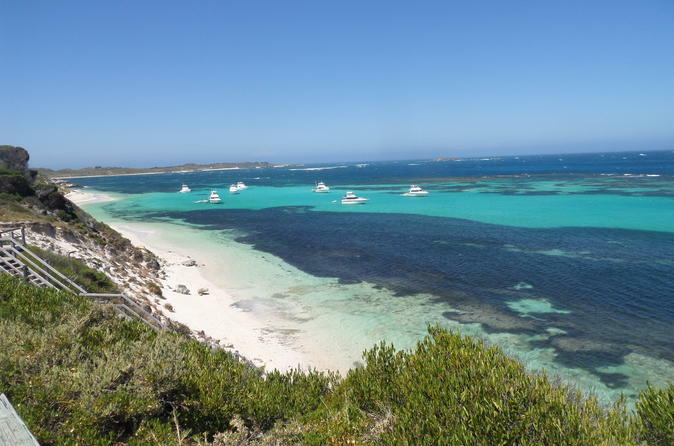 Your Rottnest Island day trip starts in either Perth or Fremantle, depending on option selected when booking. From Perth, hop aboard your ferry for a ride down the Swan River, enjoying views of upscale homes and yacht clubs that line the shore. When you get to Fremantle, where the river dumps into the Indian Ocean, pick up more passengers for the ride across the ocean to Rotto, as the island is referred to by locals. When you arrive, embark on your 1.5-hour thrilling high-speed wildlife cruise that takes you around the island’s many isolated bays and beaches, where you can watch for sea life like dolphins, seals and birds. After your adventure cruise, you are free to spend the afternoon at your leisure to explore the island however you wish. Perhaps rent a bike to travel down the car-free roads, go swimming or snorkeling in the turquoise water, or search for quokkas, the small marsupials who live on the island. (Activities, entrance fees, rentals, food and drinks are at your own expense.) If you select the lunch option when booking, head to Karma Rottnest for your included meal. Maybe visit one of the historical attractions to learn about the heritage of Rottnest, which was discovered by Dutch explorers in the 1600s and has since been home to shipwrecks, an Aboriginal penal colony and an internment camp. Today, as an A-class nature reserve, it’s beloved for its tranquil atmosphere, rustic charm and minimal development. When your time on Rottnest is up, return to Fremantle or Perth by ferry. My husband and I took the tour last Sunday and thought it was fantastic. The speed boat ride was lots of fun and the crew, Ollie and Talitha provided great commentary and went that extra mile to find the wildlife around the island. We then spent the rest of the day looking around the island and had lunch at the pub. It's a lovely place to visit whilst in WA. And yes it was very easy to see the quokkas. We had a blast! Great way to see the beautiful coast of the island. We were fortunate to come across a seal pup just a few weeks old, really special moment, he was adorable. High speed boat was heaps of fun!!! We had a fantastic day at Rottnest the speed boat tour made the day seeing the dolphins and seals up close was amazing. Loved Rottnest Island and saw several Quokkas. The speed boat ride should not be missed. . We saw seals and stingrays up close riding in the boat. The boat took us to beautiful areas not accessed from the island. Everything about this trip fantastic except the lunch.  Food inedible and really not necessary as plant of places to buy food or sit down and have a meal for far less. I booked my tour over the phone with someone in Los Vegas. It was a pleasant interaction, and I thought all was in order. It turned out I was booked on the wrong tour. The one I did go on was nice, the boat ride was informative, but not worth the money. My time on the island was fun and interesting. Everyone should go over there if you are in Perth.